Willian scored twice as Chelsea cruised into the fifth round of the FA Cup. 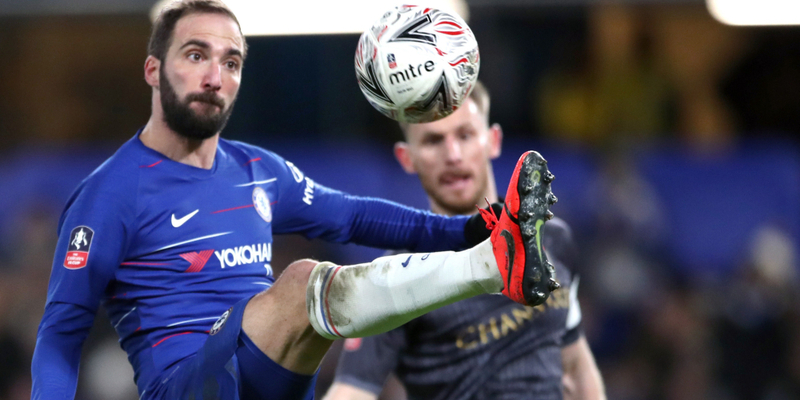 Callum Hudson-Odoi also netted at Stamford Bridge, where Gonzalo Higuain made his Blues debut. 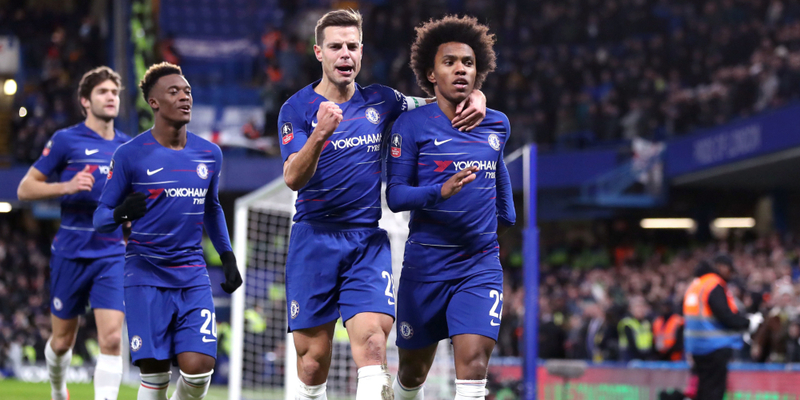 Teenager Hudson-Odoi, who handed in a transfer request on the eve of the game amid interest from Bayern Munich, doubled the holders’ lead midway through the second half. He controlled Andreas Christensen’s ball over the top before cutting inside defender Morgan Fox and shooting past keeper Kieran Westwood. Willian’s 25th-minute penalty had put Chelsea ahead shortly after Championship side Sheffield Wednesday thought they had a spot-kick. Referee Andre Marriner stunned the home crowd by pointing to the spot after Ethan Ampadu’s challenge on Joey Pelupessy. The decision was reversed when VAR proved Ampadu had played the ball. A couple of minutes later, Marriner awarded a penalty again – but this time VAR confirmed Cesar Azpilicueta had been fouled by former Chelsea man Sam Hutchinson. Willian calmly slotted home his 50th goal for Chelsea – and his 51st arrived with seven minutes remaining. He darted towards the penalty area and steered the ball to substitute Olivier Giroud, who returned it for the Brazilian to fire home. Higuain was restricted to half-chances before making way for Giroud late on. Higuain had an early shot blocked by Tom Lees after collecting a clever pass from Mateo Kovacic and headed well wide from Ampadu’s second-half cross. Giroud immediately made an impact, setting up the goal that sealed a resounding Blues win. Chelsea: Caballero, Azpilicueta, Rudiger, Christensen, Alonso, Ampadu (Loftus-Cheek 65), Barkley (Jorginho 84), Kovacic, Willian, Higuain (Giroud 80), Hudson-Odoi. Subs not used: Arrizabalaga, Luiz, Emerson, Pedro.